Stars will rise at World Junior Championships! The World junior Championship will begin on December 8th in Goa, India and features many of the world's brightest stars. The tournament has been a showcase of young talent and provides the chess world with a glimpse of future champions. Past champions have included distinguished company such as: Boris Spassky (1955), Anatoly Karpov (1969), Yasser Seraiwan (1979), and Garry Kasparov (1980). More recent winners are: Viswanathan Anand (1987), Joel Lautier (1988), and Vladimir Akopian (1991). This year's competition will feature a number of the world's hottest young stars including GMs Bu Xiangzhi (China), Pentyala Harikrishna (India), Levon Aronian (Armenia), Kamil Miton (Poland) and Luke McShane (England). 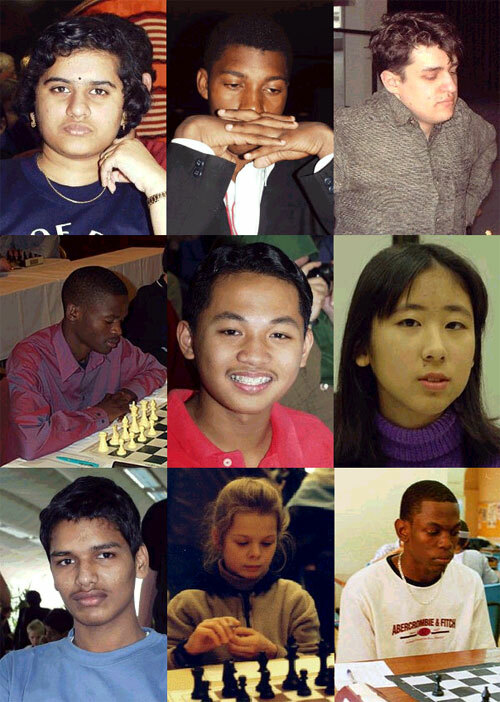 Strong IMs will present a challenge and some familiar faces are IMs Amon Simutowe (Zambia), Robert Gwaze (Zimbabwe), Hikaru Nakamura (US), Surya Sekhar Ganguly (India) and Mark Paragua (Philippines). This tournament can be a breakthrough for many of the players who are looking to pick up norms for international titles. Simutowe of Zambia is looking to earn his third GM norm and Robert Gwaze looks to continue his stellar play after his 9-0 gold medal performance at the 2002 Olympiad. Surprisingly the Boy's competition did not attract any players from Azerbaijan whose top four players are under age 18. In the Girls' competition, defending champion Koneru Humpy of India will be an early favorite having added the GM title since the last competition. Koneru's quest for yet another junior title will be challenged by Chinese star WGM Zhao Xue, the gold medallist in the Olympiad 2002 who scored blistering 11-1. This performance was matched only by Russian sensation WGM Tatiana Kosintseva who will also be present in Goa. WIM Cindy Tsai of the US hopes to make a run at the title and carry the momentum to the U.S. Championships next month.